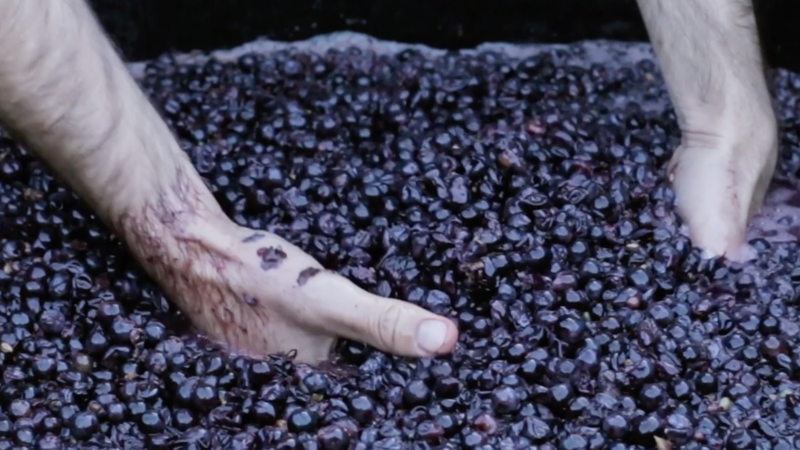 Greystone Vineyard Ferment Pinot Noir 2016 - A Year in a Bottle. Every now and then (read never) you experience a wine that makes you want to grab the nearest bible and search for the meaning of it all. This was one of those wines. I was fortunate enough to spend some time with Greystone's founding viticulturist Nick Gill and winemaker Dom Maxwell earlier this year. In both, you got an immediate sense of grounding, belief and attachment - "to our little patch of the world" as Dom calls it. Attachment is the wrong word, Turangawaewae is what the industry calls it. I never fully understood that until I met Nick & Dom. Their little patch of the world is a carefully selected site in the Omihi hills, Waipara Valley in North Canterbury - a treasure map of clay, and clay over limestone. Nirvana for making world class Pinot & Chardonnay, as experienced by their North Canterbury neighbours Pyramid Valley & Bell Hill. The wine arrived with a note from Dom, "We're keen for you to see it up close and personal! We'd be interested to hear your thoughts." Side note; Dom is the 2018 winemaker of the year. Out of the bottle this a bright, light-ruby red wine with a softness to the rim. It looks so delicate. With aromas of savoury spice, baked berries, cinnamon, pastry crust, black cherry and cranberry, it has a sense that it is wise beyond its years. On the palate you're overcome with a deep cherry, red berry core - a density the seems only to come from unfiltered wines. Out from the smooth core, a structure of fine tannins, with savoury spice, pepper, cranberry sauce and earth take the lead with acid in the background, culminating in a long umami finish. In summary, it's an outstanding wine experience - perfect with savoury foods. I see no reason this wouldn't age beautifully. Let's find out. 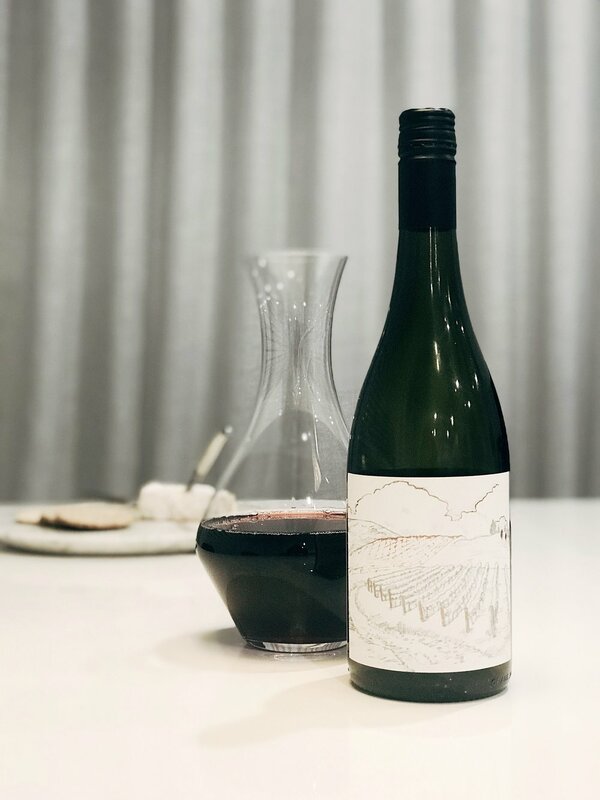 Clone 5 Pinot from the ‘Block 7’ - dense clay soils and sandstone influence, vines 12 y.o., indigenous yeast fermented in-situ, with 20% whole bunches to 14.0% alc., the wine aged 16 months in 3 y.o. oak. New Zealand's First Growth: Te Motu, Waiheke.